KEY CHALLENGES FOR SURFACE TRANSPORTATION – AS WELL AS AVIATION – ARE FOCUSED ON THE ENVIRONMENT, AND ON MOVES TOWARDS AUTONOMOUS DRIVING. THERE ARE KEY DIFFERENCES BETWEEN THE APPROACH OF THE VOLUME CAR MANUFACTURERS AND OTHER TRANSPORT SYSTEMS; IN SOME CASES, THE TECHNOLOGIES ARE SIMPLY NOT TRANSPORTABLE, WHILE IN OTHERS, THE SMALLER VOLUME AREAS PROVIDE A USEFUL PROVING GROUND FOR THE LARGER PRIZE. 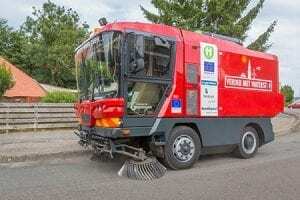 Finnish manufacturer Visedo has converted a street sweeper from diesel to hydrogen. This sweeper recently entered service in the Dutch village of Hoogezand. The haulage industry’s approach to making trucks cleaner falls under three headings: hybridisation using plug-in electric vehicles (PHEVs), similar to the passenger car industry; fuel cell electric vehicles using hydrogen; and cleaner alternatives to diesel in the form of Liquified Natural Gas (LNG) or bio-gas (methane) alternatives. The most appropriate fuel for such driving cycles is LNG (liquefied natural gas); commercial vehicle manufacturer IVECO is banking on it. It has spent vast sums of money developing LNG powertrains for its range of vehicles and believes that this is the only way to go. 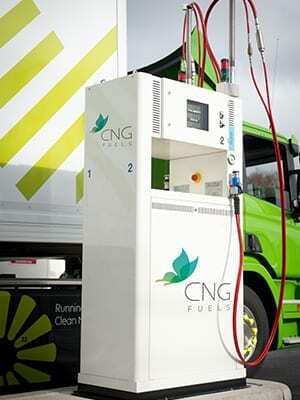 The company has over 16,000 natural gas trucks operating in Europe and it expects this to grow. LNG vehicles also provide an easy route to the use of biofuels; following a successful six month trial in London, Liquid Biomethane (LBM) was an alternative to LNG for IVECO Daily light commercial vehicles as far back as 2008. “Our Natural Power technology provides a means of reducing polluting emissions with the ability to make use of bio-fuels, a growing focus in Europe,” says Karl-Martin Studener, IVECO business director Austria, Central & Eastern Europe. “With the conversion to bio-fuels, all transporters are now able to provide CO2-Neutral transport.” But for local transport or “last mile” deliveries, electrification is the preferred approach and it is less clear whether the norm will become PHEV or Fuel-Cell Electric Vehicles (FCEV). The choice is delicately balanced, and depends on manufacturers’ preferences and the viability of supporting infrastructure. Some major manufacturers, including Daimler, are ploughing money into all three fuel approaches. Daimler has even developed an all-electric long-distance heavy-duty truck, the E-FUSO. 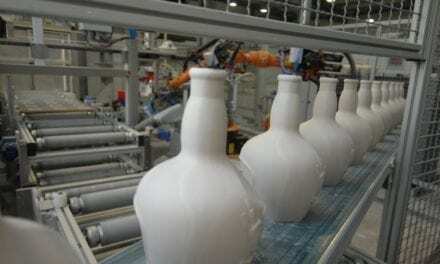 Other manufacturers are placing more emphasis on single technology evolution. Toyota has begun a major study with the Seven- Eleven chain of convenience stores to introduce hydrogen generation units at the shops, which can power facilities such as refrigerators as well as provide refuelling capabilities for Toyota delivery vans as they do their rounds. The IVECO Stralis LNG has received the European Award for Sustainability in Transport. Bus manufacturers, such as the UK’s Alexander-Dennis, are increasingly introducing electric powertrains into the range but there’s a large inventory of existing buses on the road network running conventional powertrains, so there is currently a very prominent aftermarket power- train conversion industry in the UK. While the main focus is on servicing the needs of buses on short, stop-start driving cycles with high potential for energy savings through regenerative braking – London being the prime example – there is also an increasing market in tourist operators in towns such as Brighton, where bus operators see hybridisation as a promotional tool for presenting an eco-friendly image to potential customers. 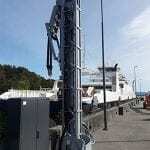 Igus is looking into new ways to supply ships with shore power, as opposed to using their diesel-driven generators, in a bid to reduce CO2 emissions. An innovative modular cable feed system is easily installed at defined mooring points, and the system enables the safe supply of energy, thanks to an extendable energy chain and highly flexible Chainflex cables, which are available DNV GL certified. Truck autonomy will probably first manifest itself on UK roads in the form of platooning, a controversial approach in which technology places multiple heavy goods vehicles in close proximity, too close for the reactions of a human driver. Platooning relies completely on robust autonomous control and near-zero latency communications between each vehicle. Connectivity problems or cyber attacks could have disastrous consequences, leading to unease! 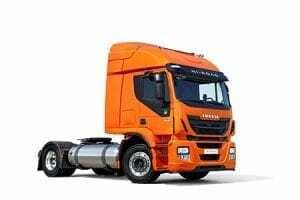 Since the announcement in August 2016 by the Department for Transport (DfT) of platooning trials being authorised to take place in the UK, the Transport Research Laboratory (TRL) has been appointed the lead in the trials, which will also see DAF trucks and Ricardo participating. According to Rob Wallis, chief executive of TRL, the consortium will study what is required to put a connected vehicle platoon on to UK roads safely within live traffic operations. Agricultural vehicles have also been at the forefront of developing and adopting autonomous navigation technology. More than 320,000 tractors equipped with auto-steer or tractor guidance were sold in 2016 alone, a figure that is expected to rise to 660,000 in 2026. These tractors use RTK GPS technology to autonomously follow pre-planned paths with centimetre-level accuracy. This makes agriculture the largest adopter of autonomous navigation. Leading tractor companies worldwide have already demonstrated master-slave or “follow- me” unmanned autonomous tractors or load carts. In these arrangements, a manned operator supervises the movement of the leader tractor with others following suit. The technical challenges are largely resolved: the tractor comes equipped with a variety of overlapping sensors such as LIDAR, radar, and sonar to provide autonomous navigation in the absence of GPS signal, together with collision avoidance. Technology costs are currently high but the largest hurdles are to be found in the lagging regulatory framework, along with the farmers’ desire to stay in charge. Tractors and combine harvesters are frequently operated on difficult terrain. Crops such as canola and corn grow at different densities; the field is sometimes muddy and is rocky at other times; and plants often obscure the view of potential impediments. Thus far, only a few field trials have taken place and the experimental clock is inevitably limited by harvest seasons, further slowing down adoption. 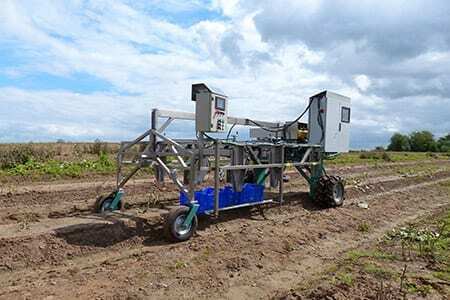 Asparagus is one of the most expensive vegetables in Europe because harvesters have to painstakingly pierce each stalk individually; a robot could change this, and engineers at the Bremen Centre for Mechatronics (BCM) are developing one. It works with harvesting tools, which run on precision rails from HepcoMotion, a specialist in linear guidance systems. The construction industry has also begun the adoption of automation and robotics, with numerous projects underway to encourage use of the technology, such as the retrofitting of autonomous solutions into existing forklifts and diggers. In parallel with agricultural automation, part of the challenge in adopting robotics comes from the unstructured and often unpredictable nature of construction sites, in contrast to more structured environment of a manufacturing production line. In fact, the increased use of modern methods of construction has led to the potential to manufacture off-site. Housing units or modules can now be manufactured in a controlled factory environment away, from the construction site, and then be transported to the site for final assembly. According to analysts at IDTechEx, who have issued a new report (Electric Boats and Ships 2017-2027) that looks at this fragmented but often highly profitable and growing sector, there are already over 100 manufacturers of electric boats and ships. The market for hybrid and pure electric boats and ships will rise rapidly to over $20 billion worldwide in 2027 for non-military versions. Recreational boating is the largest and fastest-growing electric marine market in sales number, followed by underwater leisure and autonomous underwater vehicles. For five years, the MS Nadorias serviced the inland waterways of the Netherlands, between Groningen, Amsterdam and Rotterdam. Originally it was powered by a single diesel engine with a conventional direct drive to a single propeller. A hybrid retro fit has given this inland container carrier a huge 15% saving not only in fuel, but also in CO2 emissions. Since the main diesel engine now runs much less, there is 60% less in maintenance costs and higher uptime compared with its identical sister ship. 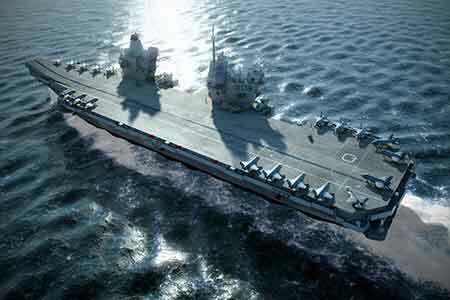 The aircraft carrier HMS Queen Elizabeth, the largest ship ever deployed in the Royal Navy, uses electric drives for propulsion. A single large ship emits the carbon dioxide of 75,000 cars, NOx of two million cars and particulates of 2.5 million cars (DNVgl) plus large amounts of SOx, something little seen with cars. Currently, the market for electric and hybrid watercraft is still very low, with about 1 to 2% of the addressable market. But over the last 10 years’ shaft-driven shipboard mechanical power transmission has been increasingly replaced by electrical power; both the Royal Navy Type 45 destroyer and the Queen Elizabeth carrier are electrically driven, for example. The prime engine is used solely for generating electricity, which is then distributed to various motors, including those driving the propeller shaft(s), and other consumer loads. Many countries are investing hugely into rail infrastructure: China spent $126 billion on rail projects in 2015, increasing its national railway network by 9000km; it now has the largest railway network in the world, spanning 121,000km. By 2020, it aims to boost this to 150,000 km, and its high-speed rail to 30,000km. Closer to home, Liverpool & Sefton, Greater Manchester and West & North Yorkshire Chambers, who between them represent over 8700 businesses and employ over 750,000 staff, have identified several key areas for action from government and others to help get rail investment in the north back on track. “Crossrail North is absolutely crucial and it is important that people start to see this as being on a par with Crossrail in London,” said Chris Fletcher Marketing & Campaigns director at GM Chamber. On-board communications, security and surveillance, diagnostics, signalling technology, passenger information and train to ground communications also rely on industrial Ethernet connectivity. In Germany and the Netherlands, Bombardier operates entirely Ethernet managed trains. Unfortunately, there are significant obstacles for a mass implementation of super-fast Wi-Fi on trains. Security issues, the complexity of the sector and lack of infrastructure are only some of the hurdles that the UK needs to overcome. National Rail says only nine of 25 train operating companies currently provide onboard Wi-Fi. Andy Pye has written about UK manufacturing industry for nearly 40 years. He is managing editor of Controls, Drives and Automation, and editor of Environmental Engineering, two leading bi-monthly titles.